First of all, you must have a Federal Permit to transfer migratory birds. If you purchase migratory birds you must receive and keep the transfer form to legally keep them. 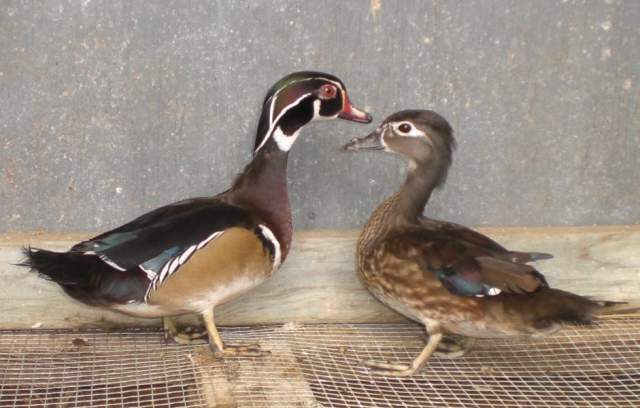 Wood ducks are about 20 inches long and weigh a little over 1 pound with a wingspan of 29 inches. Typically, a hen will begin mating when she is 1 year old. She will lay 8 to 15 eggs that take 28 days to hatch twice a year. Woodies are extremely shy and flighty.